The squad for the tournament was announced after the Wrestling Federation of India conducted selection trials across weight categories at the STC Lucknow. Lucknow: Ace women wrestlers Sakshi Malik and Vinesh Phogat on Friday made the cut in the Indian squad for the World Wrestling Championship, to be held in Paris next month. The squad for the tournament was announced after the Wrestling Federation of India (WFI) conducted selection trials across weight categories at the STC Lucknow. 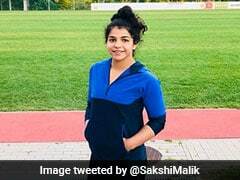 Rio Olympics bronze-medallist in 58kg, Sakshi, who bagged a silver medal at the Asian Championship in May after climbing up a division to 60kg category, has qualified in the same category for the upcoming Championship. 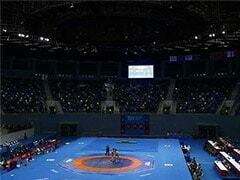 Vinesh, another silver medallist at Asian Championship, earned a place in the women's 48kg. Although Vinesh had won the Asian Championship silver in 55kg as she was making a comeback from an injury, she today fought in her preferred 48kg category and comfortably qualified for the mega-event. Among others who made the cut for the World Championship were Sheetal (53kg), Lalita (55kg), Pooja Dhanda (58kg), Shilpi (63kg), Navjot Kaur (69kg) and Pooja (75kg). Besides Vinesh, none of the other Phogat sisters would be a part of the Indian squad at the World Championship as two of the most famous -- Geeta and Babita -- did not even participate in the trials, while the younger ones -- Ritu and Sangeeta -- failed to qualify. Vinesh Phogat (48kg), Sheetal (53kg), Lalita (55kg), Pooja Dhanda (58kg), Sakshi Malik (60kg), Shilpi (63kg), Navjot Kaur (69kg), Pooja (75kg).